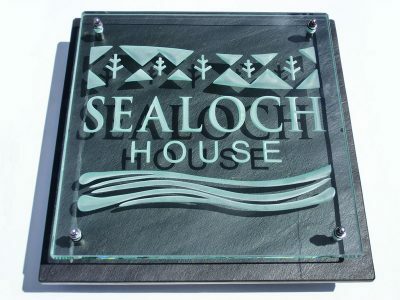 All our house signs and plaques are handmade from the highest quality 15mm thick glass, slate and stainless steel fixtures. Lead time 2 to 3 weeks. 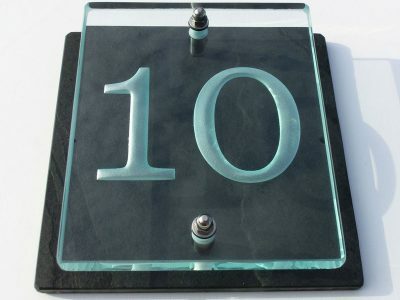 Our glass house number signs are engraved and sandblasted with your property’s number. 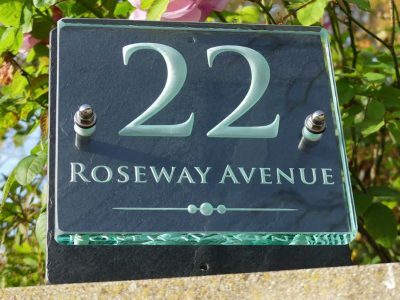 Our small glass house signs are engraved and sandblasted with your property’s number and name. Our large glass house signs are engraved and sandblasted with your property’s name and number. Bespoke glass sign with custom size and details. 12 Volts low voltage LED light attachment for our signs to create an illuminated glass house sign. 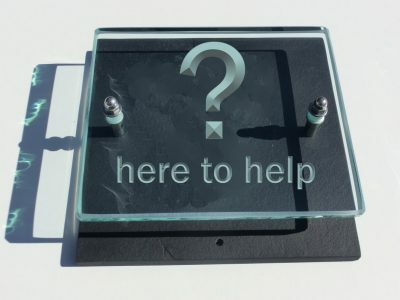 We provide a personal service that can help you find the right glass sign for you. 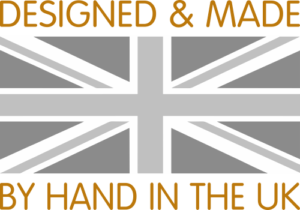 Tim Carter Artisan Glass Plaques, established in 2012, is a Rutland based artisan house number and name signs business creating high quality glass signs. No glass effect acrylic here! All our signs are made from 15mm thick glass and mounted on slate with stainless steel fixtures. Our signs are engraved, sandblasted and hand-built to create beautiful embossed house signs for your home or property. 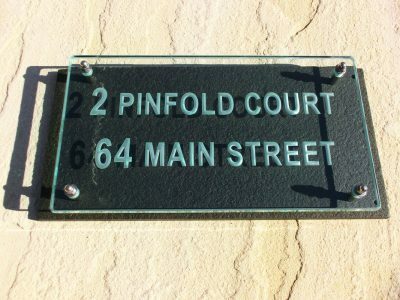 Wall-mounted and durable, our elegant signs are available in a range of modern and traditional fonts to perfectly compliment your property’s entrances. 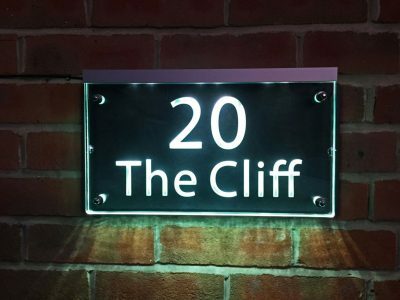 We can also supply an attachment that can convert your door number plaque or house sign into an illuminated door number plaque or house sign. an attachment to create an Illuminated house sign. Our range of house signs will provide your property with a welcoming, stylish and personalised appearance that will be sure to impress visitors. Browse our website to see how we can help you personalise your home or property with one of our hand crafted house signs. Get in touch if you wish to discuss any bespoke requirements.